Liverpool boss Jurgen Klopp has defended his player rotation and scoffed at any suggestion the club are "back in the dark days". Last week the Reds made it seven wins in a nine-match unbeaten run as they qualified for the Champions League last 16 with a 7-0 thrashing of Spartak Moscow. Since then they have drawn 1-1 with Everton on Sunday and 0-0 with West Brom three days later, both at Anfield, with Klopp making 12 changes to his starting line-up across the two Premier League matches to take him to 65 for the season. 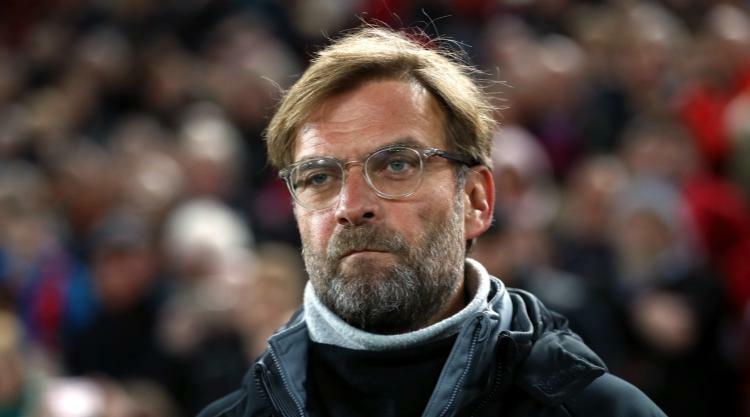 The German felt Liverpool were unlucky against Everton, then did not play well enough against Albion - but believes that did not have "anything to do with rotation". Asked on Friday about criticism of the amount of changes he had made for the last two games, Klopp said: "We have to make sure we have as fit as possible players for the specific game. That is all, and that is what we did, all the time, nothing else. "We thought, and still think, the squad gives us that opportunity, and that is why we did it. "It's normal that after two draws at home there is criticism out there, completely normal. "But I think they were two completely different games. "The Everton game was a really good one for us, we played really well, one of the best derbies I saw since I was in, with the wrong result at the end. We were unlucky. "To be honest, against West Brom I thought we didn't deserve luck really. It was not a good performance. It wasn't fluent enough, our passing was not at its best. "But I don't think it had anything to do with rotation or something like that." Klopp, speaking at his press conference ahead of Sunday's league trip to Bournemouth, then adopted a sarcastic tone as he referred to Liverpool having "real problems". "Nine days ago we were flying, and now I look in your eyes and see that obviously we have real problems," he said. "It is like it is - everything is quick in this world. We will try again." The 50-year-old, whose side are fifth in the table, was then asked about Liverpool trying to rediscover their creative spark. And he said: "We didn't lose it in a week. "It's still there - but that is our responsibility. We have to play better than we did against West Brom. "But it was really, since a very long time, the first time (Liverpool performed like that). "I'm not sure if here is the only place where we think like this - 'oh, now we are back in the dark days' or whatever. It is just one game. "Why should I be overly concerned that from this point on we will play always now like we did against West Brom? "It would be exactly the same mistake as to think we will always play like we did against Moscow."